In Idaho, 1 in 300 people are living with Multiple Sclerosis. MS attacks the brain and spinal cord, and is the most common neurological disease leading to disability in young adults. 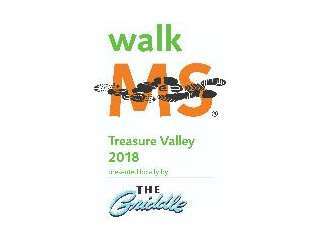 Please join us at Walk MS to raise awareness and funds to change the world for everyone affected by Multiple Sclerosis. Walk MS brings communities together, creating teams with friends, loved ones and coworkers to rally around those we care about. Join us April 13, 2019 at Julius Kleiner Park at 10 am - kids and canines are welcome! This year we plan to raise $140,000 for research, services and programs for those affected by MS. Let's come together to end MS! Register for free today at WalkMS.org.